The Estate of William I.M. Turner Jr.
Sale of Outstanding Paintings from The Estate and Other Collectors 1 Apr 2017 - 1 Mar 2018 Montreal, Toronto Alan Klinkhoff Gallery presents an extraordinary selection of outstanding paintings by Albert H. Robinson and his contemporaries. 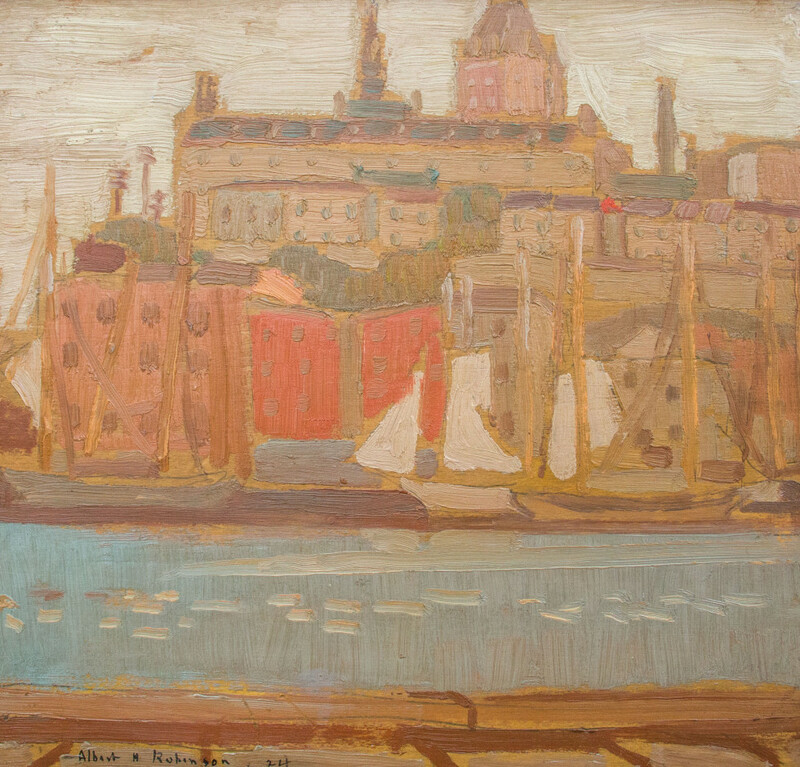 The paintings, offered on behalf of the estate of a prominent Canadian art collector were acquired over the course of several decades and are of a superlative quality. 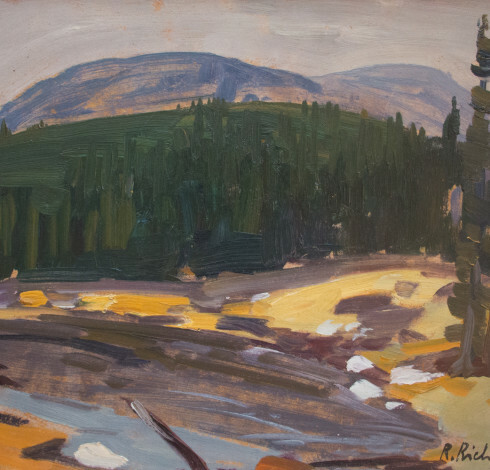 This is an exceptional and unique opportunity to purchase from an important collection of the best of Albert H. Robinson paintings as well as other highly collectable works of art by Robinson’s peers. 15 - 29 Oct 2016 Montreal, Toronto For more than 30 years, annually, at Walter Klinkhoff Gallery, Montreal, we would host for two weeks non-selling exhibitions. They usually focused on one artist and occasionally on a group of artists. The objective was to offer a study of an artist and encourage anyone including art students, teachers, collectors and a general public to come to our gallery. This was our way of trying to be known as an approachable, user-friendly art gallery business where one was invited to come in whether or not one was a buyer or seller of fine art. With our limited resources it is a considerable amount of work to organize these shows and was followed by a commitment of two weeks during which the gallery was essentially a museum with nothing to sell, except perhaps good will. It is in that same spirit that we offer Fine Art & Hockey, A Point of View. Exhibition & Sale 1 Oct - 14 Nov 2015 Montreal, Toronto With the important exhibition 1920s Modernism in Montreal, The Beaver Hall Group currently at the Art gallery of Hamilton, it is our intention to complement the exposure the exhibition gives to these fine artists by offering for sale some outstanding and important works at our Toronto Gallery. The museum’s exhibition is a wonderful and informative one, accompanied by an extensively researched catalogue – one I think 4 or 5 years in preparation. 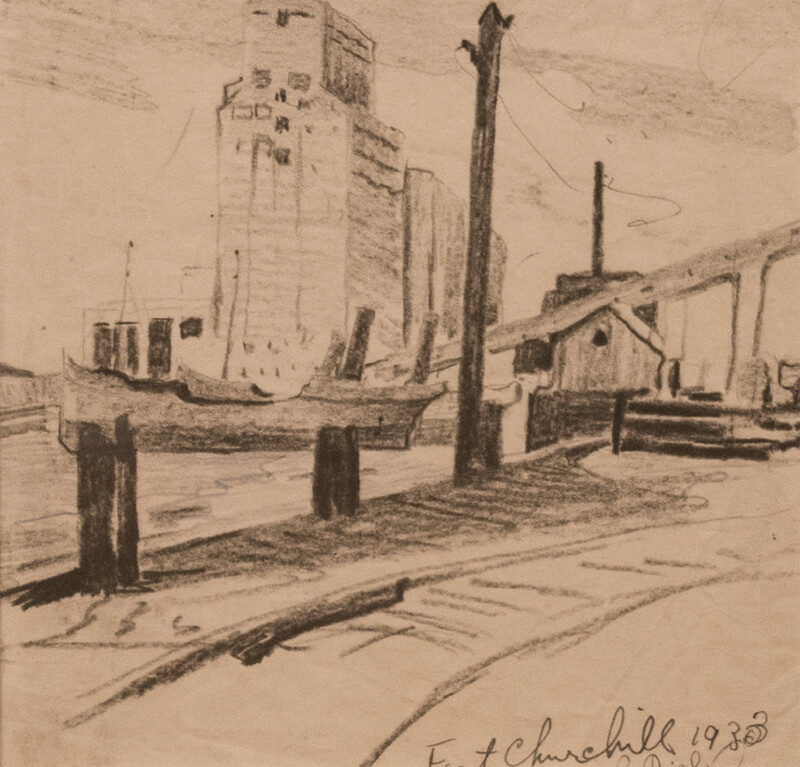 For our part, we would simply like to reiterate how the Klinkhoff family has been singing the praises of the Beaver Hall Group artists and others for decades now by preparing dozens of non-selling exhibitions in their honour, advising collectors to purchase their work, and acting for some of their estates selling their work. Whereas in some cases we may have been a generation removed from the artist himself or herself, in others we, Dad at any rate, was current with many of their careers. The knowledge accumulated anecdotally from Mom and Dad’s experiences and more than 40 years of our own organizing a number of non-selling exhibitions honouring many of these artists is significant to our understanding of their work. Retrospective Exhibition 29 Sep - 13 Oct 2007 Galerie Walter Klinkhoff (Closed) 34th Annual Retrospective Exhibition of fine works of art by Franklin Brownell held at Galerie Walter Klinkhoff. Retrospective Exhibition 25 - 28 Apr 2007 Galerie Walter Klinkhoff (Closed) 26th Annual Retrospective Exhibition of fine works of art by the Beaver Hall Group, presented by Galerie Walter Klinkhoff. Retrospective Exhibition 16 - 30 Sep 2006 Galerie Walter Klinkhoff (Closed) 6th Annual Rerospective exhibiton celebrating the fine works of art by Marc-Aurèle Fortin at Galerie Walter Klinkhoff. Retrospective Exhibition 17 Sep - 1 Oct 2005 Galerie Walter Klinkhoff (Closed) 32nd Annual Retrospective Exhibition of fine works of art by John Young Johnstone, R.C.A., presented by Galerie Walter Klinkhoff. Retrospective Exhibition 18 Sep - 2 Oct 2004 Galerie Walter Klinkhoff (Closed) 31st annual retrospective exhibition by Galerie Walter Klinkhoff, honouring Philip Surrey, R.C.A. Retrospective Exhibition 13 - 27 Sep 2003 Galerie Walter Klinkhoff (Closed) 30th annual retrospective exhibition by Galerie Walter Klinkhoff, honouring Kathleen M. Morris, A.R.C.A. Retrospective Exhibition 14 - 28 Sep 2002 Galerie Walter Klinkhoff (Closed) 29th Annual Retrospective Exhibition of fine works of art by Emily Carr, presented by Galerie Walter Klinkhoff. Retrospective Exhibition 15 - 29 Sep 2001 Galerie Walter Klinkhoff (Closed) 28th Annual Retrospective Exhibition of fine works of art by David Milne, presented by Galerie Walter Klinkhoff. Retrospective Exhibition 16 - 30 Sep 2000 Galerie Walter Klinkhoff (Closed) 27th Annual Retrospective Exhibition at Galerie Walter Klinkhoff of fine works of art by Maurice Cullen, R.C.A. Retrospective Exhibition 13 - 27 Sep 1999 Galerie Walter Klinkhoff (Closed) A retrospective fine art exhibition by Galerie Walter Klinkhoff, honouring The Beaver Hall Group. Retrospective Exhibition 12 - 26 Sep 1998 Galerie Walter Klinkhoff (Closed) The gallery exhibits, Homage to Walter Klinkhoff, a retrospective show of fine Canadian paintings. The Montreal Gazette publishes, "Klinkhoff’s Legacy: A gallery founder’s sons pay homage to his memory, offering a rare, impressive look at Montreal’s past," written by Dorota Kozinska and The Suburban publishes, "Remembering Walter Klinkhoff" by Bernard Mendelman. Retrospective Exhibition 6 - 20 Sep 1997 Galerie Walter Klinkhoff (Closed) 24th Annual Retrospective Exhibition at Galerie Walter Klinkhoff, honouring Arthur Lismer, LL.D., R.C.A., O.S.A. Retrospective Exhibition 7 - 21 Sep 1996 Galerie Walter Klinkhoff (Closed) 23rd Annual Retrospective Exhibition of fine works of art by William Raphael at Galerie Walter Klinkhoff. Retrospective Exhibition 9 - 23 Sep 1995 Galerie Walter Klinkhoff (Closed) 22nd Annual Retrospective Exhibition of fine works of art by Lilias Torrance Newton, R.C.A., presented by Galerie Walter Klinkhoff. Retrospective Exhibition 10 - 24 Sep 1994 Galerie Walter Klinkhoff (Closed) An exhibition of fine works of art by Albert H. Robinson is held at Galerie Walter Klinkhoff. "Here’s to you Mr. Robinson," is written by Ann Duncan, Montreal Gazette. Retrospective Exhibition 11 - 25 Sep 1993 Galerie Walter Klinkhoff (Closed) 20th Annual Retrospective Exhibition of fine works of art by Georges Delfosse, presented by Galerie Walter Klinkhoff. Retrospective Exhibition 12 - 26 Sep 1992 Galerie Walter Klinkhoff (Closed) 19th Annual Retrospective Exhibition of fine works of art by Anne Savage held at Galerie Walter Klinkhoff. Retrospective Exhibition 7 - 21 Sep 1991 Galerie Walter Klinkhoff (Closed) 18th Annual Retrospective Exhibition of fine art by Canadian painter Sarah Robertson, held at Galerie Walter Klinkhoff. Retrospective Exhibition 10 - 22 Sep 1990 Galerie Walter Klinkhoff (Closed) 17th Annual Retrospective Exhibition of fine works of art by Group of Seven member, A.Y. Jackson, LL.D., R.C.A., O.S.A. at Galerie Walter Klinkhoff. Retrospective Exhibition 11 - 23 Sep 1989 Galerie Walter Klinkhoff (Closed) 16th Annual Retrospective Exhibition of fine works of art by Mabel Lockerby presented by Galerie Walter Klinkhoff. Retrospective Exhibition 12 - 24 Sep 1988 Galerie Walter Klinkhoff (Closed) 15th Annual Retrospective Exhibition of fine works of art by Robert Pilot, R.C.A., presented by Galerie Walter Klinkhoff. Retrospective Exhibition 14 - 26 Sep 1987 Galerie Walter Klinkhoff (Closed) 13th Annual Retrospective Exhibition of fine works of art by Ethel Seath presented by Galerie Walter Klinkhoff. Retrospective Exhibition 8 - 20 Sep 1986 Galerie Walter Klinkhoff (Closed) 14th Annual Retrospective Exhibition of fine works of art by Frederick Simpson Coburn, R.C.A. presented by Galerie Walter Klinkhoff. Retrospective Exhibition 9 - 21 Sep 1985 Galerie Walter Klinkhoff (Closed) 12th Annual Retrospective Exhibition of fine works of art by painter and avid outdoorsman, René Richard, R.C.A., presented by Galerie Walter Klinkhoff. Retrospective Exhibition 10 - 22 Sep 1984 Galerie Walter Klinkhoff (Closed) 11th Annual Retrospective Exhibition of fine works of art by Adrien Hébert, R.C.A., presented by Galerie Walter Klinkhoff. Retrospective Exhibition 12 - 24 Sep 1983 Galerie Walter Klinkhoff (Closed) 10th Annual Retrospective Exhibition of fine works of art by Goodridge Roberts, LL.D., R.C.A., O.S.A., presented by Galerie Walter Klinkhoff. Retrospective Exhibition 13 - 25 Sep 1982 Galerie Walter Klinkhoff (Closed) 9th Annual Retrospective Exhibition of fine works of art by Pegi Nicol MacLeod, presented by Galerie Walter Klinkhoff. Retrospective Exhibition 15 - 27 Sep 1980 Galerie Walter Klinkhoff (Closed) 7th Annual Retrospective Exhibition celebrating the works of art of Beaver Hall Group member, Prudence Heward, presented by Galerie Walter Klinkhoff. Retrospective Exhibition 10 - 22 Sep 1979 Galerie Walter Klinkhoff (Closed) 6th Annual Retrospective Exhibition celebrating the fine works of art by Marc-Aurèle Fortin, presented by Galerie Walter Klinkhoff. Retrospective Exhibition 22 Jan - 5 Feb 1979 Galerie Walter Klinkhoff (Closed) 5th Annual Retrospective Exhibition of fine works of art by Sam Borenstein, presented by Galerie Walter Klinkhoff. Retrospective Exhibition 12 - 24 Sep 1977 Galerie Walter Klinkhoff (Closed) 4th Annual Retrospective Exhibition of fine works of art by Marc-Aurèle Suzor-Coté, R.C.A., presented by Galerie Walter Klinkhoff. Retrospective Exhibition 8 - 20 Sep 1975 Galerie Walter Klinkhoff (Closed) Second Annual Retrospective Exhibition at Galerie Walter Klinkhoff., celebrating fine works of art by Clarence A. Gagnon, R.C.A. Retrospective Exhibition 17 - 30 Sep 1974 Galerie Walter Klinkhoff (Closed) First Annual Retrospective Exhibition of fine works of art by Maurice Cullen, R.C.A., presented by Galerie Walter Klinkhoff. Trapper, Lumberjack, Draughtsman Sep 1, 2017 Montreal Recent purchases of a group of excellent illustrations by René Richard (1895-1982) inspired this reflection of his stature as an important and genuine Canadian artist. He has long been considered of iconic stature in Quebec, the province where he made his home almost thirty years after his arrival in Canada from Switzerland with his father and mother.